Leading the way to a healthier you and a healthier community through service, teaching, discovery and teamwork. 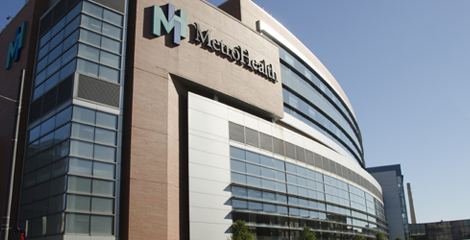 MetroHealth has begun construction on a new hospital and reimagined main campus. It will be LEED-certified, and the first EcoDistrict anchored by a health care system in the U.S. For more information about this ambitious community revitalization project, read our Transformation Blog and Fast Facts. Do you have a loved one who is recovering from a stroke, spinal cord or brain injury, a trauma or an orthopedic condition? Thanks to the MetroHealth Rehabilitation Institute, they don't have to travel far to receive expert therapy services. Watch this video to find out why our Rehabilitation Institute can help patients achieve the best possible outcomes. Simple, freezer-friendly, and comes in at just 80 calories per serving!